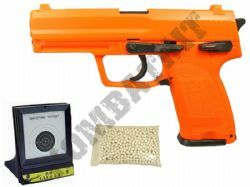 We sell airsoft pellet guns for less with our airsoft bundles packages & combo deals. 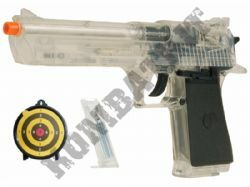 We stock UK legal clear & 2 tone bright colours 6mm airsoft pellet guns. We have combo offers on Skirmish ready airsoft AEG machine guns, two tone airsoft assault rifles, replica pump action shotguns, realistic bolt action snipers, plus handguns, pistols, 6 shot revolvers & replica RIFs sidearms. 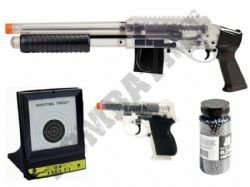 Our airsoft gun bundles include offers on fully licensed replica models from leading gun manufacturers in clear finish, plus in legal colours two tone colours we have replica models of many famous iconic well know guns, from games such as COD and others. 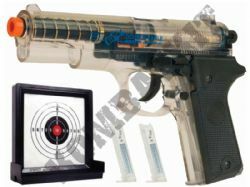 We stock spring guns, electric guns, Co2 Guns and gas blowback guns. Check our out entry level, intermediate and pro-grade airsoft deals. 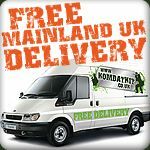 All of our BB pellet guns and 6mm Airsoft BB Pellets for guns are available from stock with free UK mainland delivery.